Google Play Music has arrived on Google Glass, giving the wearable headset a pretty significant boost in functionality. 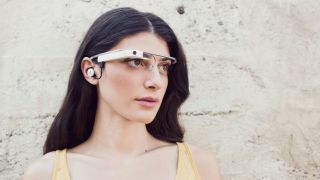 Glass wearers can now listen to Play Music library as well as Google's on-demand service, All Access, while rocking their futuristic specs. Google Glass engineer Stephen Lau made the announcement in a Google+ post, adding that anyone who has already sideloaded the Play Music Music2.apk should uninstall it before grabbing the official one - or else it won't work. Then, all you'll need to do is say "Okay Google, listen to," followed by the name of the artist, playlist, album or song name. You'll then be met with a "Live Card" that displays the song information and cover art. However you can continue to navigate around Glass without interrupting the tunes, though we're told that the new app does have a big appetite for battery power. Google's also offering up some stereo earbuds, but at $85 (about £52, AU$94) they're not coming cheap. Will we all be using Glass in 2020?